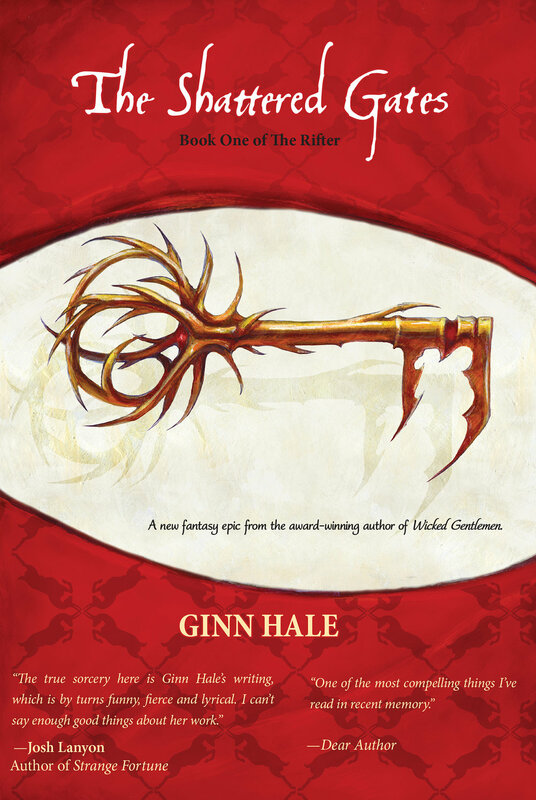 A gripping series by award-winning author, Ginn Hale. Originally published as a ten-part digital series, the entire collection is now also available in three print publications. Having escaped a brutal battle between Fai'daum revolutionaries and Guan'im cavalry, John has climbed the Thousand Steps to the heights of Rathal'pesha in search of a way home. He learns that the golden key he lost–the one that can open a Great Gate and allow him and his friends to return home–lies within his reach. But not even the remote mountain monastery of Rathal'pesha is safe from violent turmoil in an age of rebellion and religious warfare. Soon John is drawn into the heart of a power struggle that will decide who will live and who will die on the Holy Road. The epic conclusion of the Rifter Trilogy. John Toeffler never saw himself as a warrior. He has spent years keeping himself and his friends safe through silence and subterfuge. But all that changes when he and Ravishan were betrayed. Now, with a bounty on his head and the Payshmura forces determined to destroy both Ravishan and Laurie, John knows he can no longer leave the battle against the Payshmura Church in the hands of strangers. If he and those he loves are to survive the coming war, John must master the wild, killing power that he has suppressed all of his life. But he is right to be wary – for the price of victory will be dear and not even he knows if he can truly control the terrible force that even now awakens deep within his sacred bones. The Rifter is also still available as a ten part digital series.